CiviCRM is a web-based, open source, Constituent Relationship Management (CRM) software geared toward meeting the needs of non-profit and other civic-sector organizations. Non-profit and non-government organizations in cities of Calgary, Red Deer, Edmonton, Lethbridge, Airdrie, or Okotoks in Alberta, Canada will find CiviCRM software very useful in growing their constituents, volunteers and supporters. CiviCRM offers various functions that together target managing the flow of information between your organisation and every one else effectively. Through this web-based and open source internationalized software, non-profits and NGO’s are able to record and update information on various parties such as their members and staff, clients and vendors, and activists, volunteers and donors. Keeping track of the information of these parties is highly essential for non-profits and NGO’s. 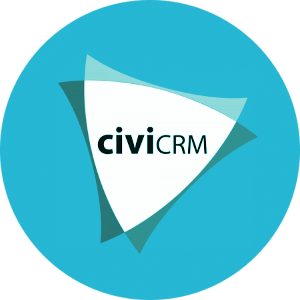 Unlike other Customer Relation Management software, CiviCRM is specifically designed for non-profit, non-government, membership, and advocacy organizations. Furthermore, CiviCRM offers cost-effectiveness and affordability, vis a vis other software. Unlike other software, CiviCRM may be downloaded for free sans licensing fees. Indeed, CiviCRM is specifically tailored to these organizations. Contact Manager – Contact Manager allows you to consolidate all the contact information stored in various databases, spreadsheets, and rolodex. Contact Manager stores not only contact information but also correspondence, relationships, and conversations with different parties. Indeed, CiviCRM allows you to manage your contacts efficiently. CiviContribute – CiviContribute allows you to manage online fundraising and donations. Not only does it track donations made for your organization, but it also allows you to conveniently develop and customize web pages to facilitate online donations. CiviContribute automatically integrates the information received with Contact Manager, ensuring that your contacts’ information are update respectively as they donate to your organization. CiviEvent – CiviEvent allows you to manage the different events hosted by your organization. It manages event registration such that it tracks your invitees and those who have expressed their intent to attend. It also allows you to develop and customize web pages for event registration. Likewise, CiviEvent integrates information automatically with Contact Manager. CiviMember – CiviMember facilitates convenient online registration for your organization. This can be customized depending on the membership requirements and other preferences that your organization needs. CiviMail – CiviMail allows you to manage email newsletters. Its high-capacity component allows you to update, inform and engage your members, clients, and volunteers with the latest news and opportunities in your organization. Etopian Inc. can help your non-profit or non-government organization in developing CiviCRM, from installation to customization to management. 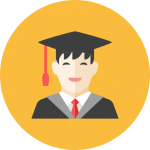 CiviCRM is a complex constituent management system that can do a lot, but at the same time comes with a very steep learning curve. There are a number of different modules each of which comes with many configuration options. As long time CiviCRM implementers and developers we can be your guides through the often uncharted jungle that is CiviCRM. The CiviCRM software may be integrated directly with Drupal, WordPress, or Joomla! open source content management systems. If you wish to activate and engage your communities, CiviCRM is a smart choice for your organization.